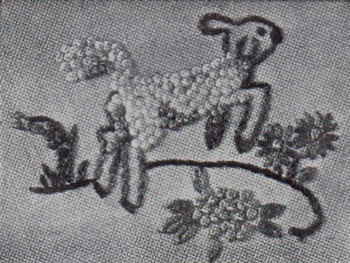 Before the 1970’s, many (if not most) embroidery transfers were intended to be stitched in any manner of your choosing. The more stitches you knew how to work, the more choice you had when stitching to create different looks. 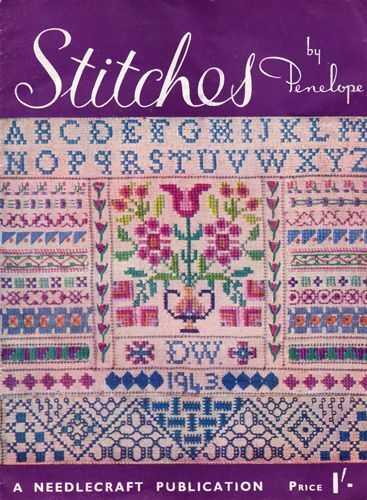 Published in 1943, this booklet includes instructions for approximately 78 different stitches, all the way from Algerian Eye stitch to Weaving stitch. You can also download the second book in the series here. Copyright Sarah Bradberry, July 14th 2014. All rights reserved. This is a brilliant site. It has Lots of crafts , knitting, sewing, embroidery. I’m delighted I came across it. I’ve just started doing embroidery, the step by step stitches will be a great help. Thank you.